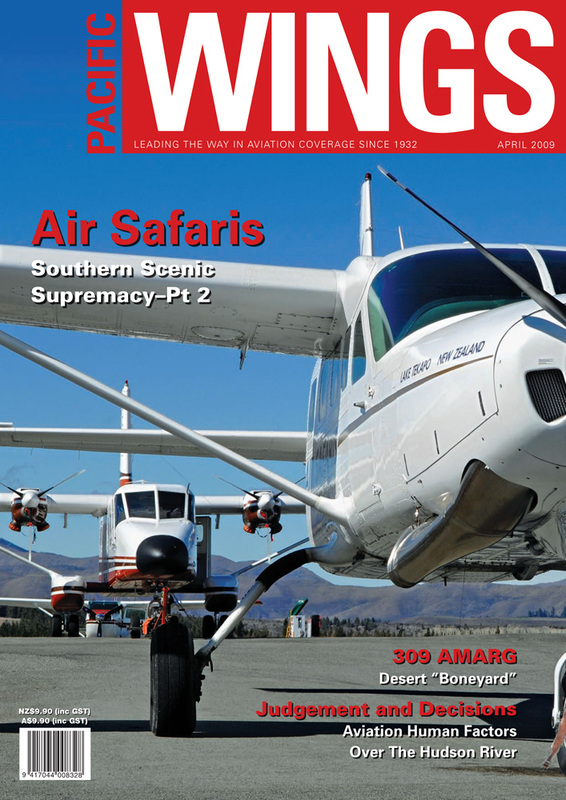 In Part II of Rob Neil’s Air Safaris story, the GAF Nomad features prominently. Perceived by those who don’t know it as an “ugly duckling” or an unwanted “orphan”, the Nomad has been a much-loved “swan” in the history of Air Safaris, which is the biggest operator of the type in the world. Few aviators are unfamiliar with the famous Davis-Monthan “Boneyard” and the wealth of aviation history that lies silent within its boundary fences. Glenn Alderton casts his unique photographic eye (and lens) over the historic residents of the 309 AMARG at Davis-Monthan. Aviation Factors expert Ross Ewing celebrates the ditching of the US Airways A320 by Captain Chesley Sullenberger as an outstanding example of effective CRM combined with “real” piloting skills. Few aviation commentators know more about Farnborough than Pacific Wings’ UK correspondent Peter Cooper, who lives on Farnborough’s doorstep and has written books about its history. In late 2008, Peter attended the opening of the FAST Museum Cody Pavilion, which celebrates the achievements of Samuel F. Cody who, in September 1908, made the first flight by a powered aircraft in the UK.